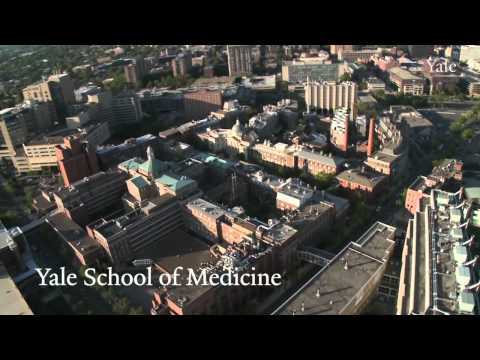 Take a tour of the beautiful Yale University campus from the sky. Take a tour of the beautiful Yale campus from 400 feet above New Haven! Come and experience a day in the life of the Yale Divinity School community as you discern graduate theological education. We look forward to meeting you soon! Prospective students are warmly invited and encouraged to visit Yale Divinity School to get an up close and personal view of the YDS experience. Visiting the campus especially when classes are in session is the best way to learn about the programs, community life, resources and life at Yale University and the New Haven community. This is an important time to discern and explore the many ways that Yale Divinity School is preparing the next generation of leaders for church and world. Unable to make it to the campus? Not to worry, we are happy to schedule a Skype information session with you. Please email Antonio Bravo at antonio.bravo@yale.edu to set up a time. If you have questions, please do not hesitate to call our office at (203) 432-5360 or email us at divinity.admissions@yale.edu. At the end of the ramp go straight on Trumbull Street. Take a right on Whitney Ave and continue to Edwards St.
Take a left onto Edwards and then a right onto Prospect St. The Divinity School is in the next block on the right. Pull into the drive between the two stone pillars and go up the drive a few more yards. The main entrance will be on your right. The Admissions Office is located on the first floor of Sterling Divinity Quadrangle. Please check in at the reception desk. Detailed transportation information around Yale is available at to.yale.edu, including mass-transit information. Amtrak and Metro-North Commuter line service New Haven. Metro-North runs every hour between Grand Central Station in New York City and New Haven (including most local stops). If you are coming from points other than New York City you should use Amtrak. Upon arrival at Union Station in New Haven you may take the Yale Blue Shuttle (free) or taxi to the Divinity School. Greyhound, Megabus and Peter Pan services New Haven’s Union Station (the train station is also the bus station). You may take a Yale Shuttle or taxi from the station to the Divinity School. Tweed-New Haven Regional Airport (HVN) is the closest airport to the Divinity School. US Airways Express is the only airline which services Tweed (six flights in and out daily to and from Philadelphia). Upon arrival at Tweed you may take a taxi or rent a car to reach Yale Divinity School. Bradley International Airport (BDL) in Windsor Locks is approximately one hour from New Haven, but offers a greater choice of airlines including Southwest and most of the major commercial carriers. Some individuals also choose to fly into one of the New York area airports (JFK, LaGuardia, or Newark, NJ). New York’s MTA rail service and Connecticut Limo offers ground transportation from all three New York area airports, as well as from Bradley Airport. It is a short taxi ride from the Connecticut Limo terminal to the Divinity School. A small discount may apply to online reservations.